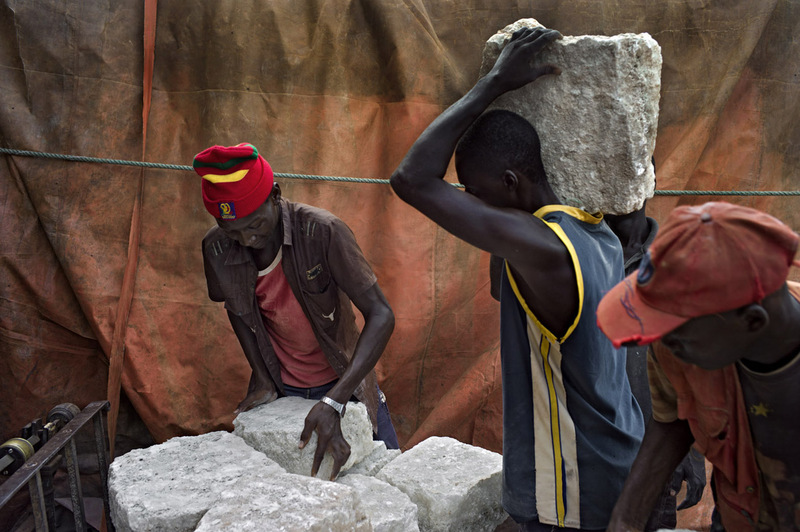 In Mopti, close to the riverbank of Niger river, men are carrying and weighing big pieces of local salt. It is produced in Northren Mali. Since the begginig of the conflict with the Tuareg and other islamist groups, the salt trade is almost finished. Those pieces are the last ones aviailabe in Mopti. Thye expect to see more salt coming from Timbuktu.